Featuring the work of 31 international sculptors, Dialogue With Emperor Qin has been bringing its unique message to art lovers across the world since 2011. Explore the website, find out more about the works in the exhibition and the places it has travelled to. 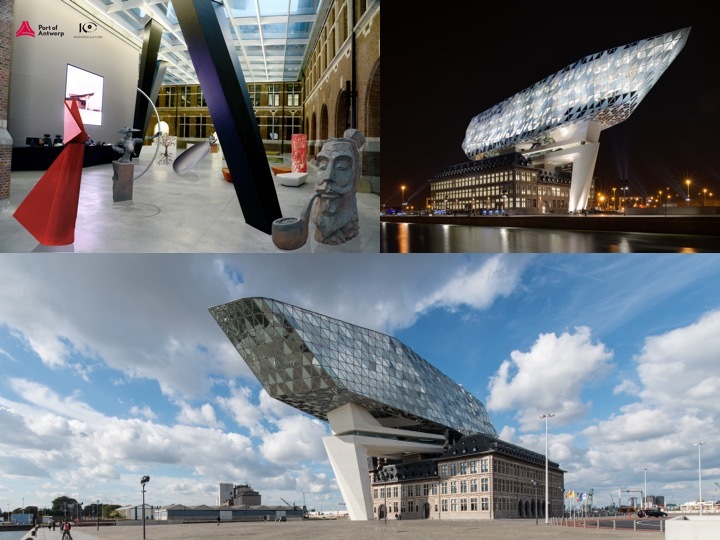 Join us at The Port of Antwerp's Zaha Hadid designed Port House to see the final stage of the exhibitions world tour! We are happy to present Dialogue with Emperor Qin: China-EU, an ambitious and philanthropic exhibition. It aims at generating exchanges and conversations around the theme of international cultural dialogue. Dedicated to all art lovers and all those who want to build peace through cultural exchange, this event answers a long-lasting need and raises an artistic bridge between China and Europe. We arrive at the end of our epic journey with Dialogue with Emperor Qin and close the circle at the Diamond Vessel of Zaha Hadid, Head Quarters of The Antwerp Port Authority. We feel blessed by their great support. Antwerp has a long and outstanding tradition regarding the ancient Silk Road. Already in 1722, the company “ Generale Keizerlijke Indische Compagnie ‘ also called the Oostendse Compagnie was founded. This company with several famous shareholders – received from the Emperor Charles VI – the monopoly for commerce between de Southern Netherlands and Asia. Today Antwerp is,- in addition to this maritime tradition-; very active on the new landbridge by rail that connects the Atlantic and Pacific Oceans. In 2010 we created this China-EU sculpture exhibition while the Port of Antwerp, the second largest port in Europe, was about to twin with the port of Guangzhou. Guangzhou is one of the most important ports along the historic Maritime Silk Road and boasts of having China ‘s largest repeat-flowering rose garden. Summer 2011, a container was shipped from Antwerp port to Tianjin, loaded with 27 sculptures from European artists (one from each European country). They were then transported to Xian, home of the original Terracotta Warriors and starting point of the ancient Silk Road, where 3 sculptures from 3 Chinese artists were waiting. The 30 soldiers, each almost two metres high compose an army that neither threatens, nor looks to conquer. It erases frontiers and cherishes freedom. It embraces the universal theme of “Messengers of Peace and Generosity”. With this exhibition, we aim at showing many cultures forming one humanity. In 2012, it was awarded the “EU-China Intercultural Dialogue” label by the European Union. After touring in eight Chinese museums between 2011 and early 2013, the exhibition entered its European phase travelling to Tallinn, Tsinandali (Georgia), Lisbon , Bucharest, Sofia, London, Edinburgh, Brussels and now Antwerp. We added a sculpture when Croatia joined the EU and where happy to finish this long journey in two Kingdoms, each staging the exhibition in two cities . The army that accompanied the Emperor in his everlasting sleep has come to life again in Antwerp “Diamond capital” of the world! The city and Antwerp Port have excellent trade relations with China. The Port remembers the visit of China’s former vice-president now President Xi Jinping in 2009 and very recently the Port set up a “One Belt One Road taskforce”. This exhibition is made possible thanks to the Antwerp Port Authority who make us dream about “La vie en rose on Silk Road”. We are thankful and happy to have them associated with this project. I would also like to thank the Mission of China to the European Union who continuously encouraged us. We are extremely grateful to the newcomer in Belgium HE Mr Zhang Ming Ambassador of China to the EU for his support. Last but not least, our gratitude also goes to Atlas and the China Arts Festival in the EU who shared with us their positive energies.